Did your life become what you thought it would be? Through years of strange turns, ups, downs, and even some deep dark despair.. But I am and I love it all. I use to buy 12.00 Australian design publications. 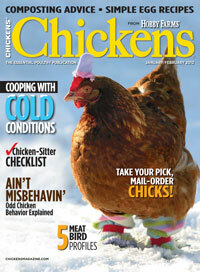 Now I buy 6.00 Chicken magazines. I do make them little 'sundaes' when the weather is bad. you can feel the resentment building. Speaking of the new guy.. When we lost our sweet dog last spring, after 13 years, I didn't expect to get another one any time soon. And we do love him so. He makes the farm feel more like..well, a farm. Has your life taken a strange turn or detour that turned out to be a blessing in disguise?